Clark County Landscaping has the equipment and know-how to professionally handle all your landscaping needs. Getting the most out of your landscape takes work. Whether you’re just starting your journey or are currently satisfied with your landscape design, we can help. It’s so easy to forget that grass is a living plant. Just like a favorite flower or plant needs proper care to grow its best, so does your lawn. The yard you want starts with Clark County Landscaping. Whether you're a home or business owner, have a small side yard or large field, we can make into something so much more. Your yard is a living ecosystem. Getting the most out of your landscape is hard work. It takes expertise to ensure your plants, trees, and lawn are as healthy as they can be. If you're considering landscaping features like stepped areas, rockeries, gardens, and flower or plant beds they need to have proper drainage. Keeping them free of weeds and grouping species together can prevent crowding, organically stop weeds, and keep pests at bay. At Clark County Landscaping we provide complete landscaping services throughout Clark County. We know landscaping so you don't have to. Achieve the perfect yard for every season. Estimates are free! Just give us a call! We offer complete landscaping service. That includes one-time clean-ups and yard work, landscape design and installation, and seasonal maintenance and preparation! All the landscaping services your Clark County property needs, right in one place! Maintain your yard and prepare for the changing seasons with our Monthly Maintenance Packages! You don't have to be a landscaping expert when you hire one. We have the knowledge, equipment, and experience to transform your landscape. 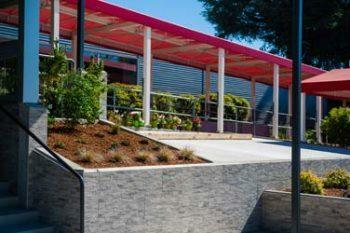 Our landscaping services are scalable and customizable. You can get the services you need when you need them. We can even prepare your yard for a transition into winter or summer. Just call or contact us today for your free estimate! We love landscaping and after we're done you'll love your landscape too. 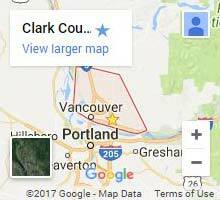 What can our landscaper in Clark County, WA do for you? At Clark County Landscaping we employ a team of professional landscapers. 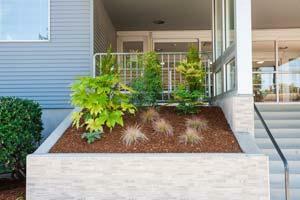 Our staff is highly trained and knowledgeable about the landscaping needs of Northwest yards. With heavy rains in the fall and winter followed by increasingly hot summers, your landscaping company must know how that affects your grass, plants, and trees. We do. Our landscapers can install new landscape elements, aid in the design, and restore or maintain existing elements you’d like to keep. Your perfect yard is just a phone call away. We provide every prospective customer with a completely free service estimate. Just tell us what services you’re considering, the size of your yard, and when you’d to schedule. We’ll provide an estimate based off a few easy to answer questions. Keeping our services affordable and making the process easy is just the first step, though. We are a landscaping contractor that delivers on our promises. Gutter cleaning and debris removal. Debris harbors pests. Dirty gutters are responsible for bird nests, mosquitos, and termites. Dead trees and brush piles can house stinging insects, termites, and rodents. Removing restores your landscape at the same time it protects your property. Pruning and mowing. Tree and bush pruning don’t just reshape them. It keeps them from causing damage, spreading further than you’d like, and helps reduce nutrient needs during winter. Our commercial grade mowers can handle any yard or field. Weed control and lawn maintenance. Our landscapers identify and remove native and non-native weeds. We can restore your lawn by dethatching it so that water and sunlight can penetrate deeper. Aeration and fertilizer may be applied to aid in grass growth. Contact us for landscaping service in Clark County WA today. You’ll never have to worry about the health and beauty of your yard again when our landscapers are on the job. Professional landscaping is more affordable than you think. It all starts with a phone call, so call or contact us today for your free estimate.